Lock S-foils in attack position and revisit a classic Star Wars toy! 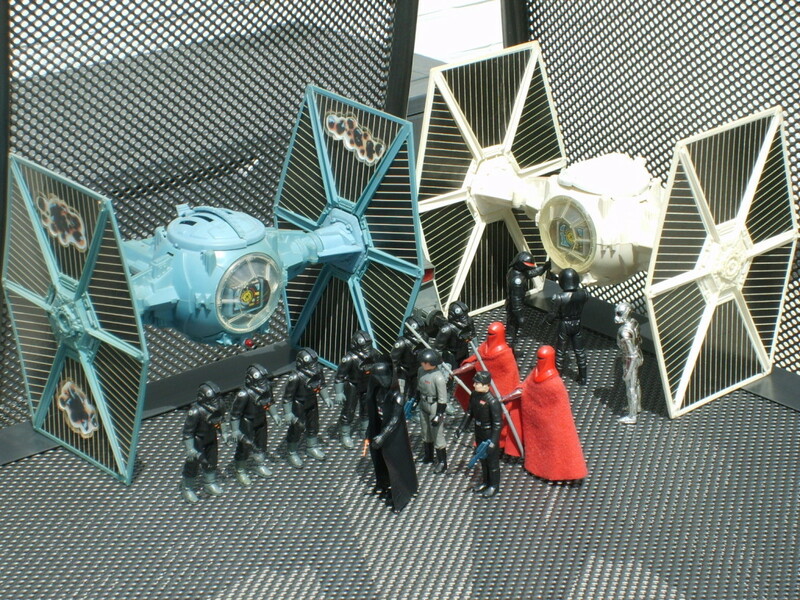 From 1978 to 1985, Kenner sold over 300 million Star Wars related toys. 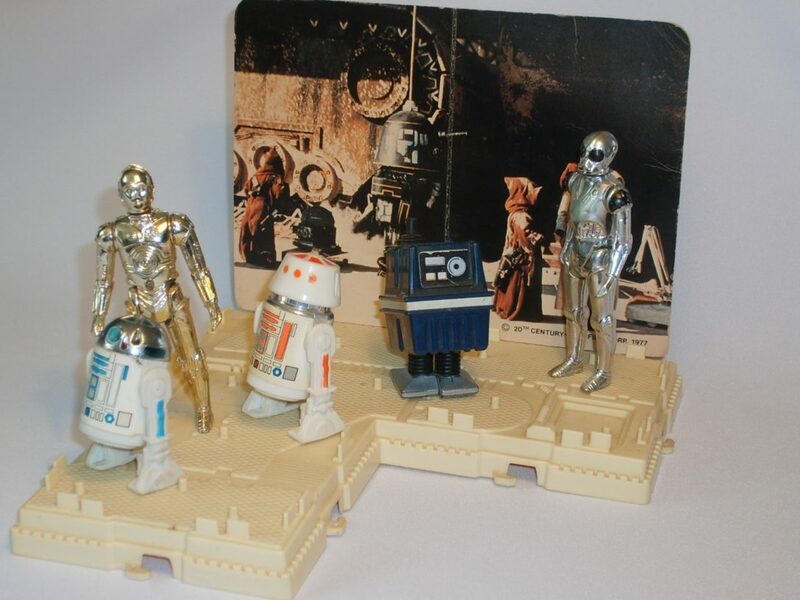 This series of toys is known among fans as the vintage line. 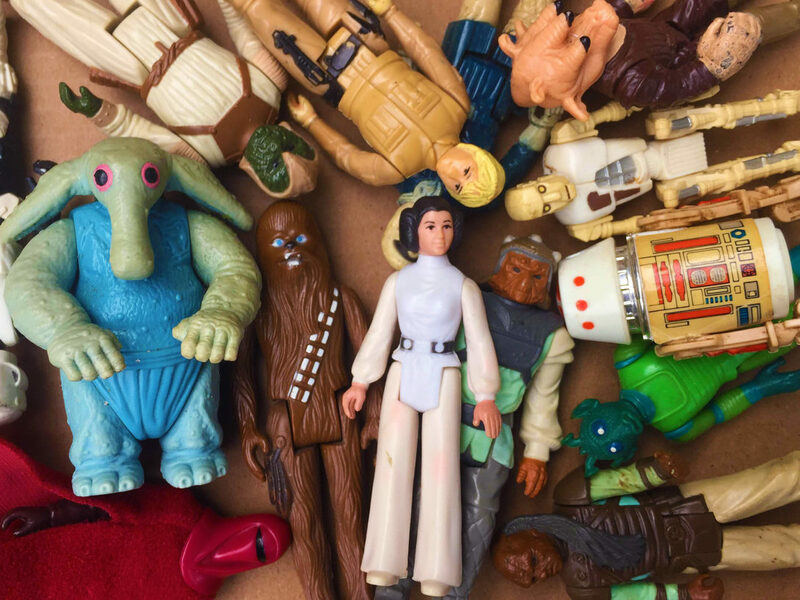 In The Vintage Vault, we take a closer look at some of the most iconic original Star Wars toys that have delighted fans across the globe. 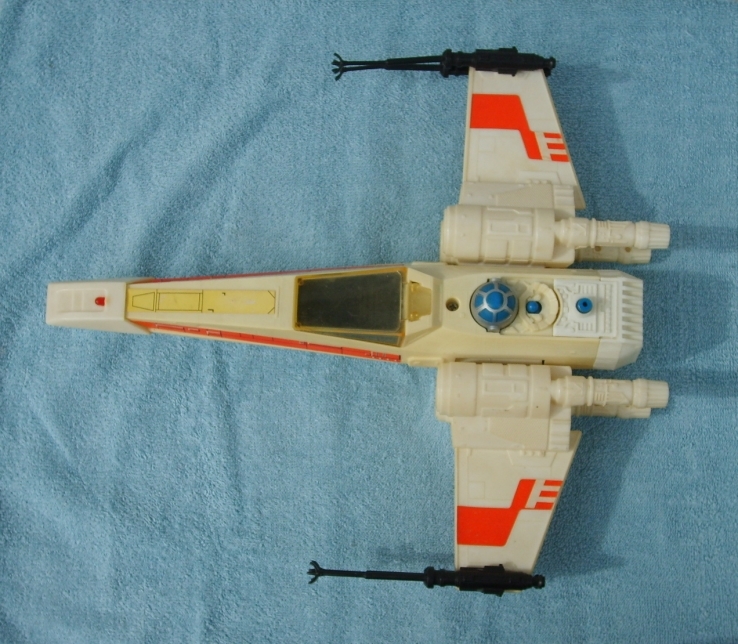 The Kenner X-wing Fighter was one of the earliest spaceships designed for the 3.75”-line of action figures. 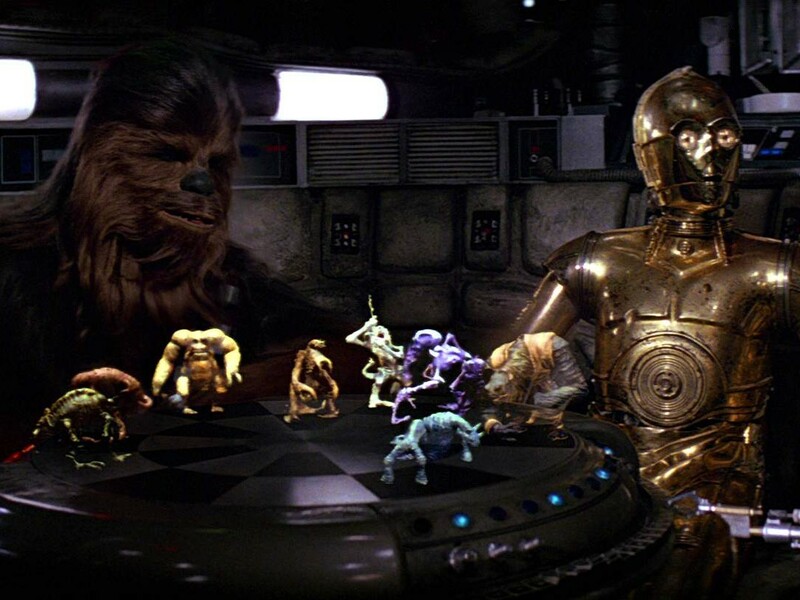 Since the figures were small enough, they could interact with playsets and spaceships. Already present on the cardbacks of the first figures (as artwork), the X-wing would become one of the most popular ships in the vintage line. The X-wing debuted in 1978 with an approximate retail price of $14.99. The ship measures 35 cm x 31 cm x 9 cm and, of course, that makes it way too small compared to the figures. But if the X-wing would have been on scale (1:1) with a Luke X-wing pilot figure, it would have measured more than 69 cm. The X-wing is made of white plastic and features red and yellow stickers. The ship can hold one figure in its rather small cockpit, so some larger figures will not fit (comfortably) in the cockpit. R2-D2 is not removable and is in fact a disguised action button. The X-wing has three action features. 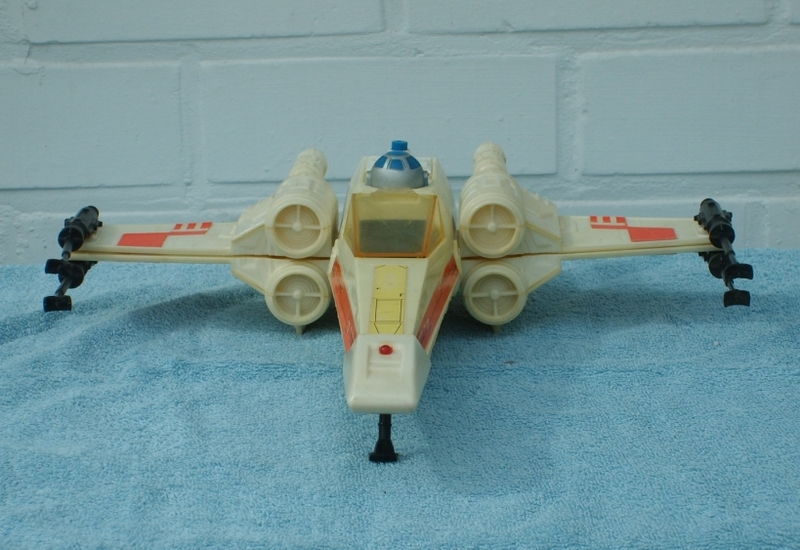 It has a retractable forward landing gear and an electronic laser light and battle sound (works with two “AA” batteries). 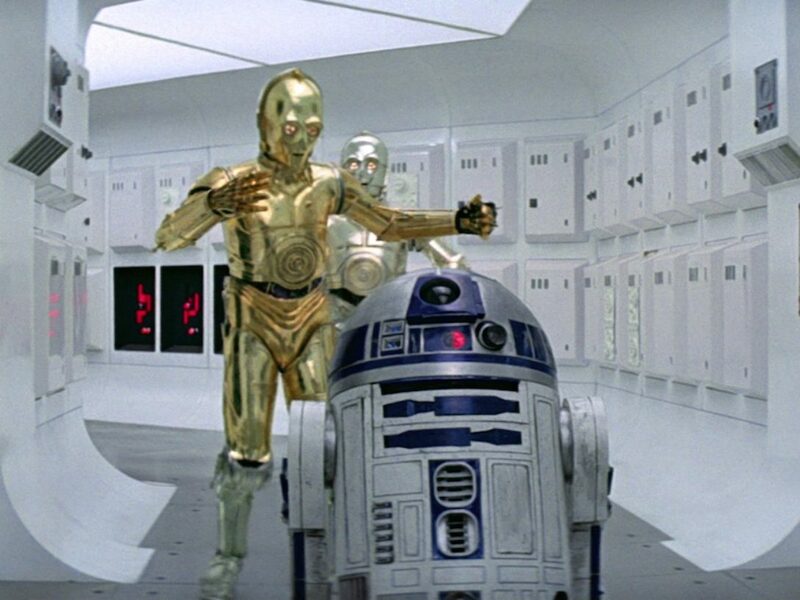 It can also lock its S-foils in attack position by pressing R2-D2’s head. The wings can be returned to their normal position by pressing another button. The X-wing has five loose parts: one transparent canopy and four KX9 Laser Cannons that are to be attached to the wings. The box also includes instruction sheets and a booklet of Star Wars toys. When the ship was first sold, a Luke X-wing pilot figure wasn’t yet released, so original Luke was the best choice to pilot the starfighter. Interesting to note is that the vintage X-wing is actually the one from Biggs Darklighter since it has three red stripes on its wings (Red 3). 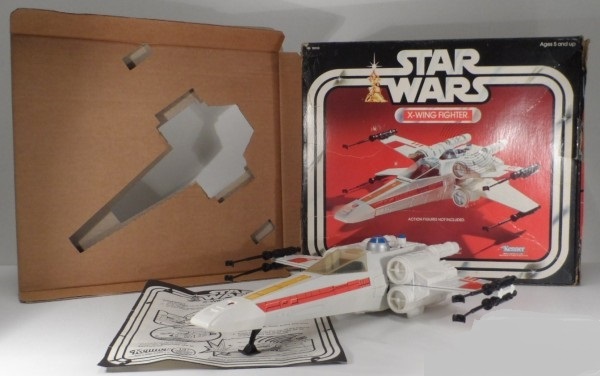 The original X-wing box shows the toy in front of a red background. The initial release can be recognized by the LP (Long Playing Toy) logo. 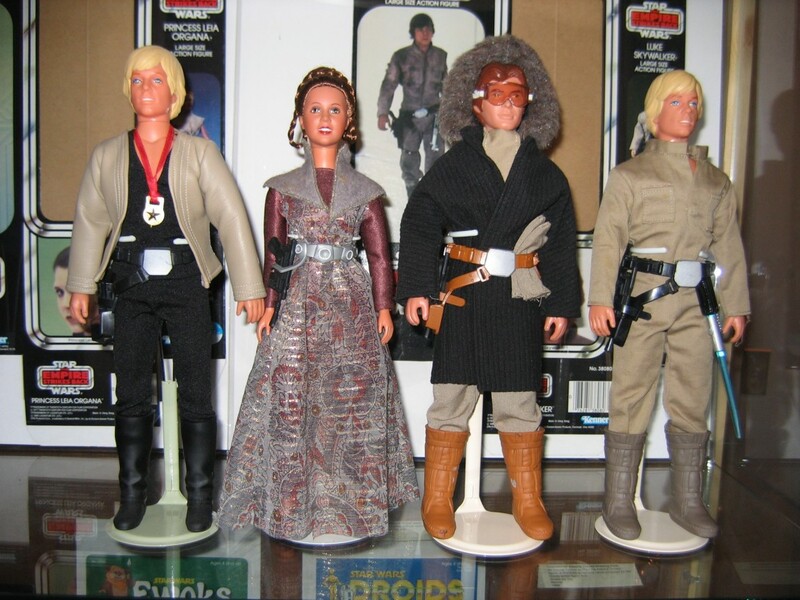 A “Special Offer” version of the toy, that came with free Han Solo and Luke Skywalker figures, was released in 1979. 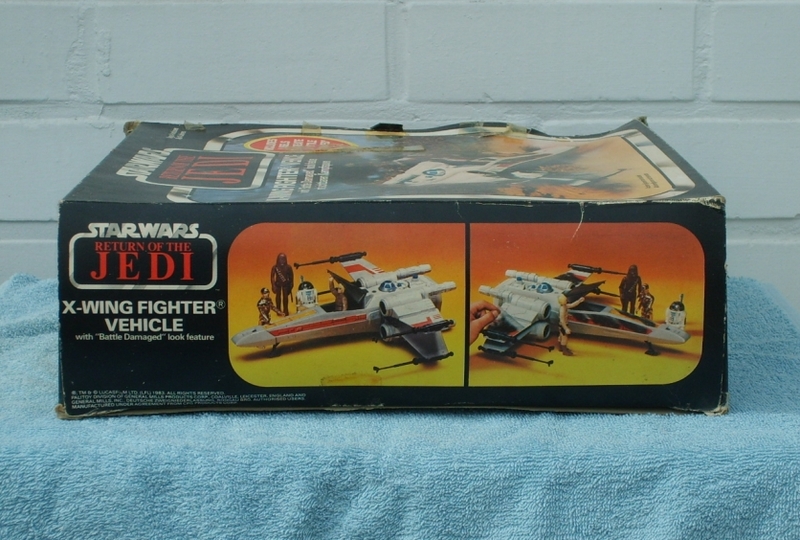 The box was updated in the same year with a Luke X-wing pilot figure. 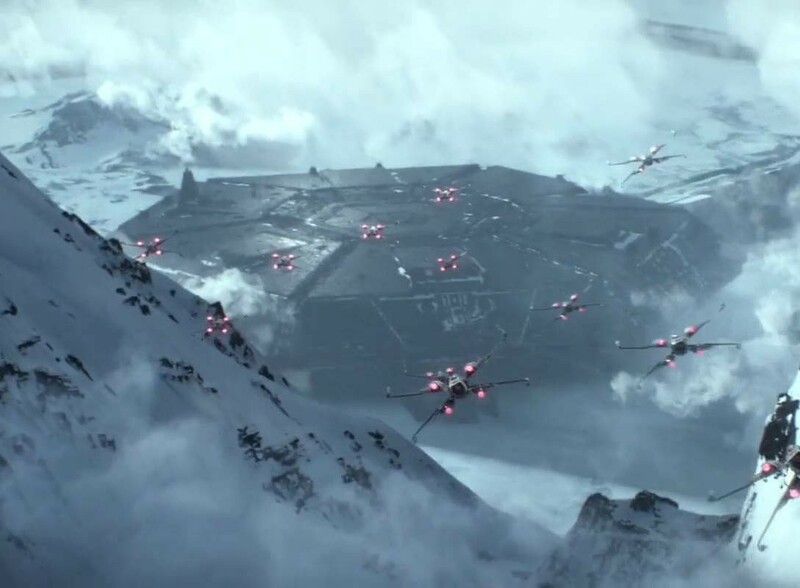 The red background was used once more in 1980 during The Empire Strikes Back. A totally different photo was finally used in 1981 and it showed a diorama on Dagobah with figures of Yoda and R2-D2 standing by. 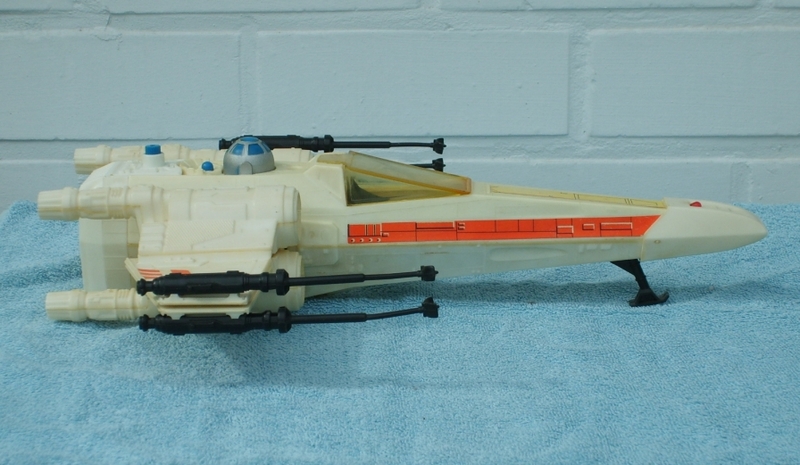 In 1982 the “Battle Damaged” X-wing was released in the 3.75” line. Though the same mold was used for the ship, there are a few major differences. This version comes with extra damage sticker labels so you could either display your X-wing without or with battle damage. Another difference is that this X-wing is molded in gray instead of white plastic and its canopy is much darker. The inlets of the ship’s engines are now black, instead of white in the original release. But the S-foils can still be locked into position and the electronics are still present. 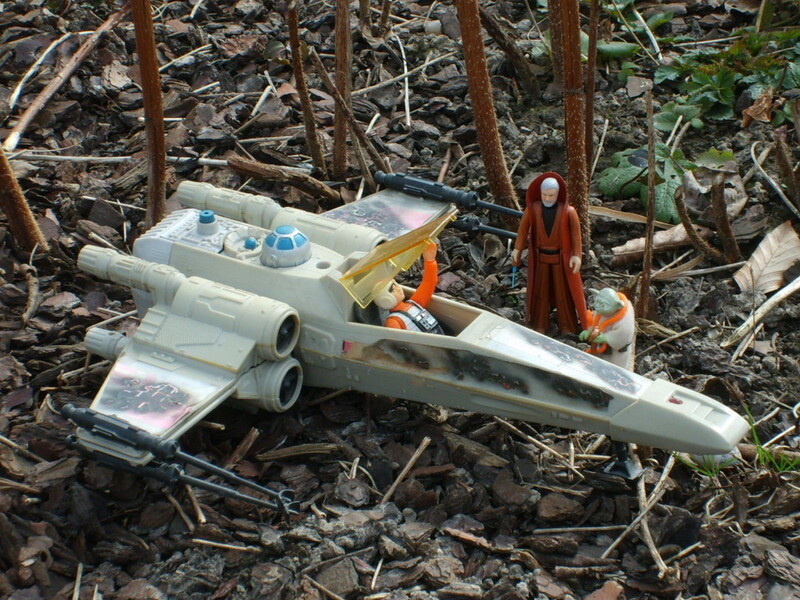 The “Battle Damaged” X-wing was released in a box featuring Luke X-wing who (probably) says goodbye to Yoda and (the spirit of) Obi-Wan on Dagobah. This great photo even features mist and almost looks like it has been taken on the set itself. 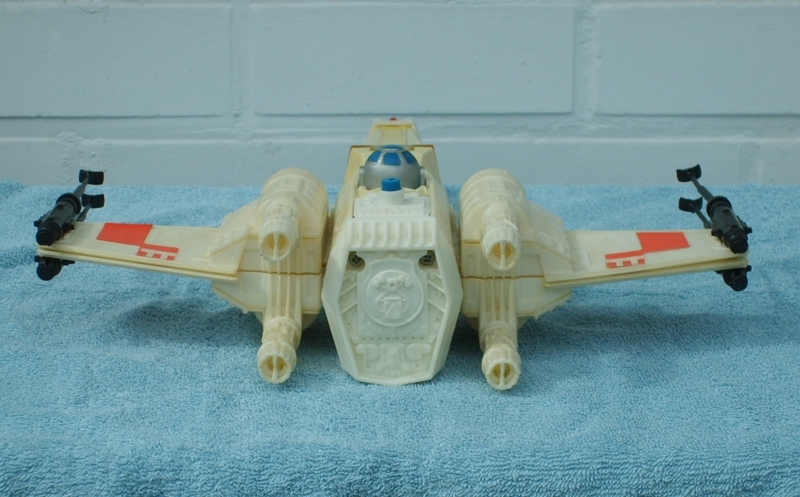 This toy was released during the lines of The Empire Strikes Back and Return of the Jedi. Both the regular and the “Battle Damaged” X-wing were released around the globe, which resulted in more variations. In a lot of countries the electronics were removed and the R2-D2-button received a chrome color. 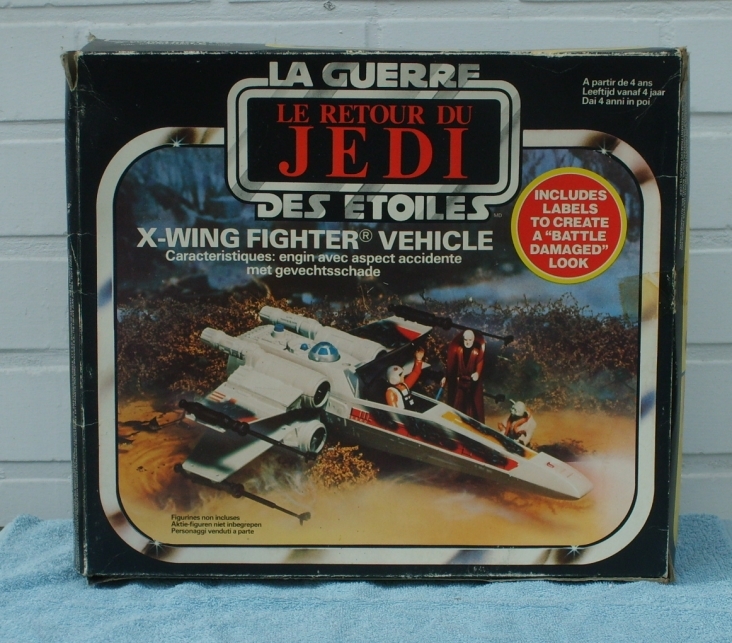 Apart from the US, an electronic X-wing was only available in Brazil, Canada, and, also briefly, in France. Another difference is that most non-electronic variations feature a sticker at the back, instead of the molded back of the electronic version. The first boxes in the UK and France show a photo with a sandy surface and the Spanish box utilizes the 1981 Dagobah photo. The non-electronic “Battle Damaged” X-wing Fighter was released in a European Bilogo box (except for one particular UK release). A rare European Trilogo box does exist, but only a handful examples are known to exist. 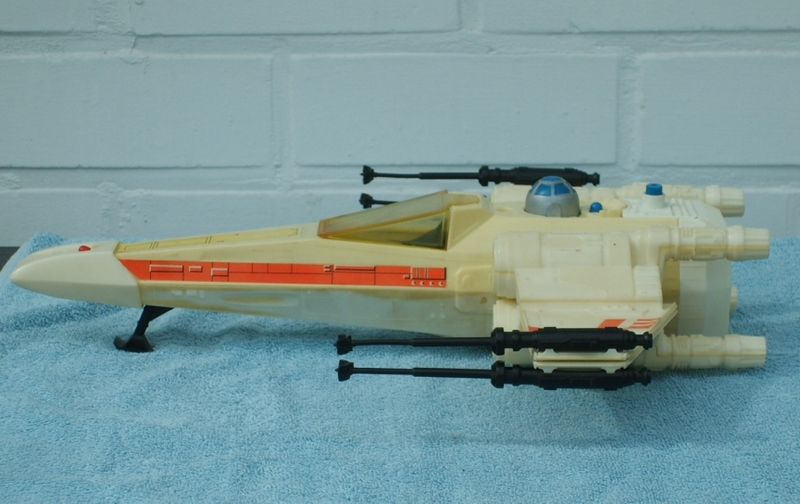 The X-wing Fighter was even produced in 1988 by Glasslite (Brazil) as the ASA-X. This rare electronic (lights only) variation features different stickers and has the name ASA-X printed on its side. 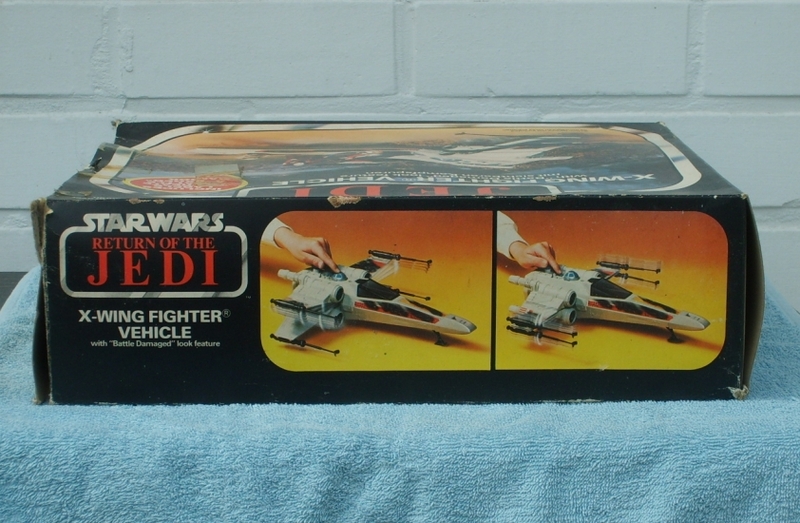 The box uses the photo from the Kenner “Battle Damaged” X-wing. 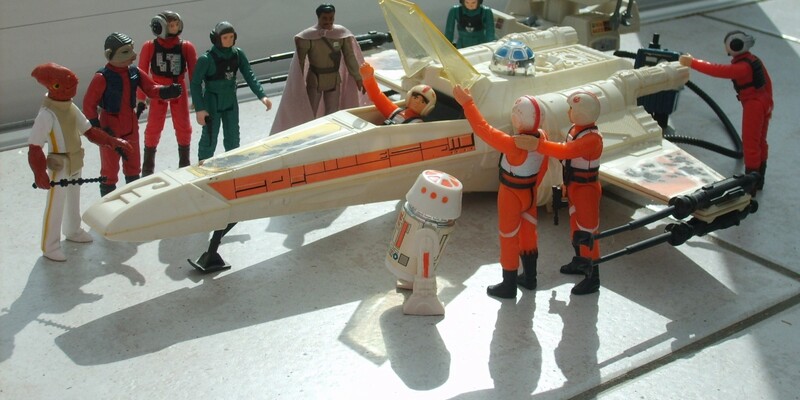 Kenner still intended to include the X-wing in its plans if the line had continued. A Power of the Force box for the X-wing was already developed and Kenner was even planning to release a black tandem X-wing Fighter, but this toy was never made. 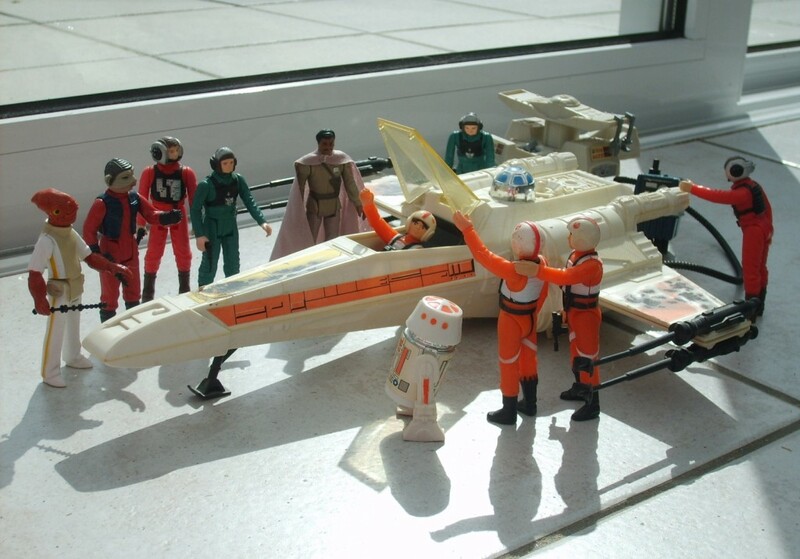 Did you or do you have Kenner’s X-wing? Share some of your memories or thoughts on the toys in the comments below! Sources: starwarsvintagetoys.co.uk, theswca.com, The Ultimate Guide to Vintage Star Wars Action Figures (Bellomo, 2014), History of French Star Wars Merchandising & Marketing, 1977 – 1986 (Faucourt, 2013), TheManwhoshotLukeskywalker.com, ImperialGunneryforum.com & Old School Toys (X-Wing Fighter photo). Tim Veekhoven (Sompeetalay) from Belgium is president and co founder of TeeKay-421, the Belgian Star Wars fanclub. 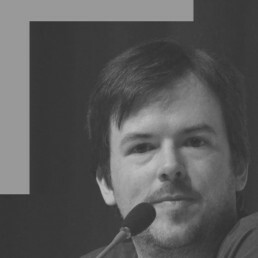 He has contributed to Star Wars Insider (Rogues Gallery), to Build the Millennium Falcon magazine, and has written four character back stories for “What’s the Story?”.